A community garden is any piece of land gardened by a group of people, utilising either individual or shared plots on private or public land. Community gardens provide fresh products and plants as well as contributing to a sense of community and connection to the environment and an opportunity for satisfying labor and neighborhood improvement. They are publicly functioning in terms of ownership, access, and management, as well as typically owned in trust by local governments or not for profit associations. The health benefits of being outdoors and engaging in physical activity are well known. Being able to pick fresh herbs from the garden to add to a salad, or see tomatoes grow, or, in season, harvest a nice ripe pumpkin for soups, pies and roasted vegetables, even while in a suburban setting, means the freshest produce available is at your fingertips - in fact, your hands have made this harvest a reality. 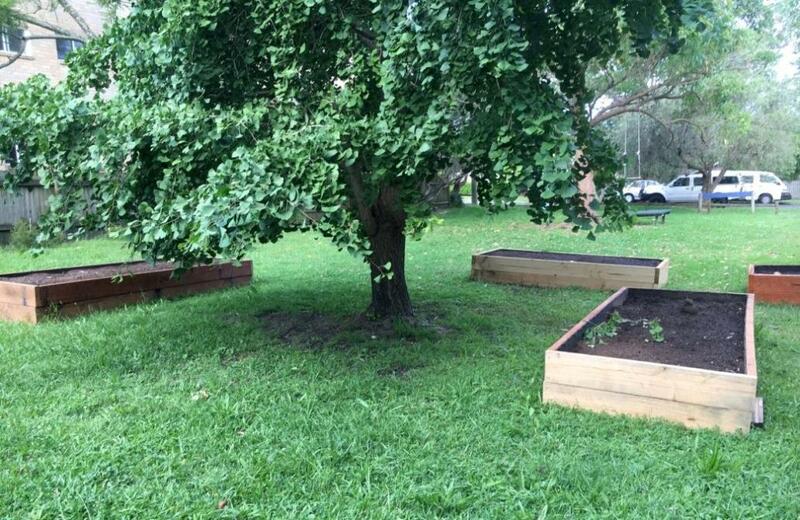 In late July 2015 the former Pittwater Council approved for exhibition the draft Community Gardens Policy and nominated Woolcott Park, Woolcott St. Newport (off Gladstone St.) as a potential site. At the Council Meeting of Monday 2 November, 2015, reiterating having always supported establishing community gardens in Pittwater, Woolcott Reserve was formally adopted for use as a community garden at the meeting. Council put aside compost bins, a worm form and a little boat for the garden. It is hoped that this will be one of many established throughout the area. 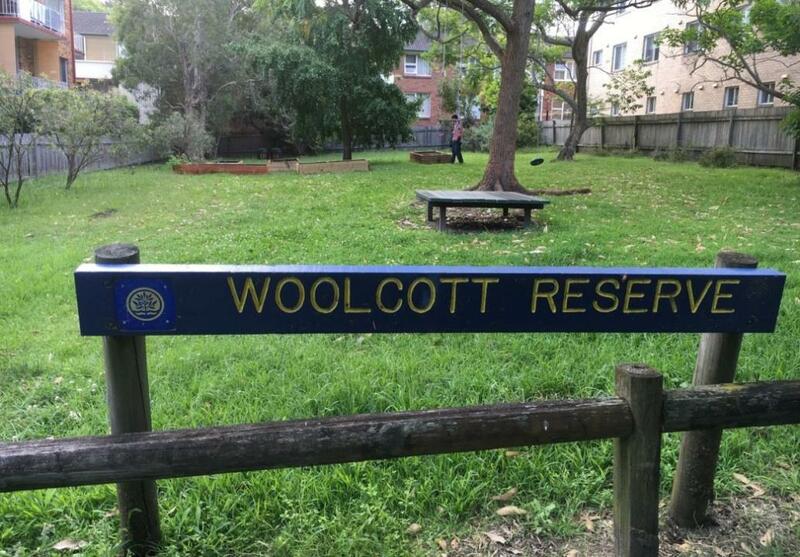 The Woollcott reserve group wished to fill the boat with herbs to share with the local residents and began with a cake stall to raise funds in order to pay for the materials and soil to establish raised garden beds. In January 2016 they did just this. Now the group wishes to let more people in Newport know they are welcome to join in. If you haven't grown up with a Kitchen Garden outside your door, this is your chance to be part of one. This week we share a small insight into 'growing community' - quite literally! What is a community garden and what are the benefits? A Community garden is defined by the Australian City Farms and Community Gardens Network as ‘an area of shared land where people come together to cultivate fresh food, to learn, relax and to meet new friends’. The design, development and management of community gardens in Pittwater is subject to the Pittwater Community Garden Guidelines and will be funded by the community garden members. While the community gardens will take up an area of land within the parks, the parks will remain open for everyone to visit and enjoy. Why and when was the Newport Community Garden formed? The Newport Community Garden group came about after local resident and founder/CEO of 1 Million Women, Natalie Isaacs held a 'Recipe for Change’ afternoon tea at her home to get local women thinking about how we could make small changes to live more sustainably. We jointly came up with the idea of a community garden and formed a group to start looking at possible sites. Active local resident Selena Weber had already been doing some work with Council and together we submitted several sites to be considered. 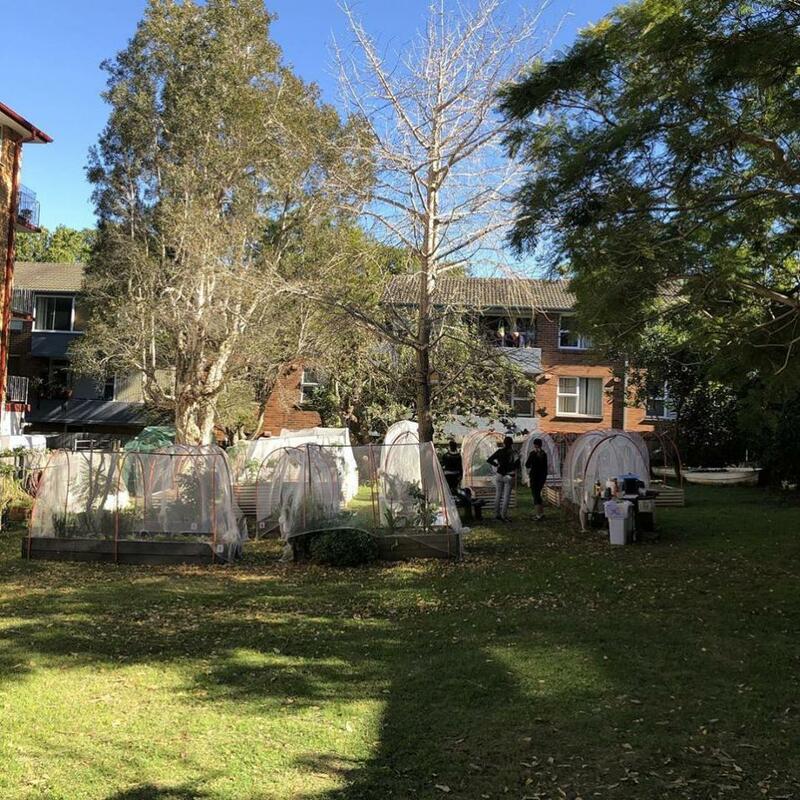 After Pittwater Council’s survey and then draft plan for 'Public Space and Recreation’ was released it became clear that there was a lot of support for a Community Garden. Pittwater Council organised a residents meeting in 2014 and Woolcott Reserve was identified as the first site, hopefully the first of many to be established around Newport. Since then we've had a name change from 'Peninsula Community Garden to 'Newport Community Garden'. We've had two grants, one from Pittwater Council initially and the second from the Northern Beaches Council. This has allowed us to put in a shed, buy tools, install irrigation for the beds, add to the number of garden beds we have, buy plants and worm farms. We've also had significant support from Bunnings at Belrose. We'd like to thank Bunnings and the Northern Beaches Council for their continuing investment in residents getting together to have a great space to grow seasonal plants in. Why: Some members knew no one prior to joining in at the Newport Community Garden. Not only are community gardens a great way to learn about food and growing plants, they also provide social connection for people, AND you get to be outdoors and get your hands in good dirt - always a cure all for the stresses life may bring elsewhere. With that in mind, there are no individual plots at the Newport Community Garden. We're all growing everything together! The garden provides a communal space for residents to meet, converse, garden, grow, build, plan and eventually to harvest and eat the vegetables and herbs! Whom may apply to use these services – members? Membership is open to all Community members willing to participate in establishing gardens and growing sustainable food. Subscription based paid membership. New members are always welcome. We communicate via What's App when not in the garden together, so members can be kept updated on what's happening next. Where is the Newport Community Garden? The garden is at Woolcott Reserve just off Gladstone street, near the heart of Newport village. What are the hours for meetings and work parties? The second Sunday of each month, from 9 a.m. to 12 p.m is when we have our monthly bigger working bee. Some members are there every Sunday though, so if anyone wants to learn more or get involved, they can drop by then and see what we've been up to and what we plan to do next. Are there any plans to develop other services? We currently have two high school students taking part in their Duke of Edinburgh who volunteer at the gardens. We also have a local mother who is investigating whether their Mother's Group can meet in the garden, outside being a lot nicer then inside as the weather warms up. We'll be putting in a Kid's Plot if this occurs so the littlies can grow their own food and learn more about gardening that way. What are you growing in the Woolcott Reserve, Newport Peninsula Community Garden ? At present we are growing herbs, kale and cabbages; Winter cropping plants. Within the month we'll start planting out Spring plants for the coming season. Currently we have 9 Garden Beds and are focused on getting the soil right; the PH needs to be correct to maximise plant health and growth. We're also experimenting with No Dig Gardens. How/whom should people contact if they want to get involved in the Newport Community Garden ?